In the advent of New Year, we want to warm up your holiday mood with our stunning discounts. Meet the Pre-2018 Sale and save either 35% or 45% of the template price. The amount of the discount you get depends on the product type you go for. Plugins, modules and extensions. Under this category fall plugins for WordPress, PrestaShop modules, fonts and icons, hi-res pictures, mockups, corporate designs, etc. You can save up to 45% on all the eCommerce templates (excluding the OpenCart ones). The Pre-2018 Sale lasts for 3 days. You’re eligible for a discount if you make a purchase on December 18 – 20. So, if you want to get a stunning website template paying less, don’t miss the days the sale runs. With a top-notch theme, you’ll build a web presence that will drive you to prosperity in 2018. 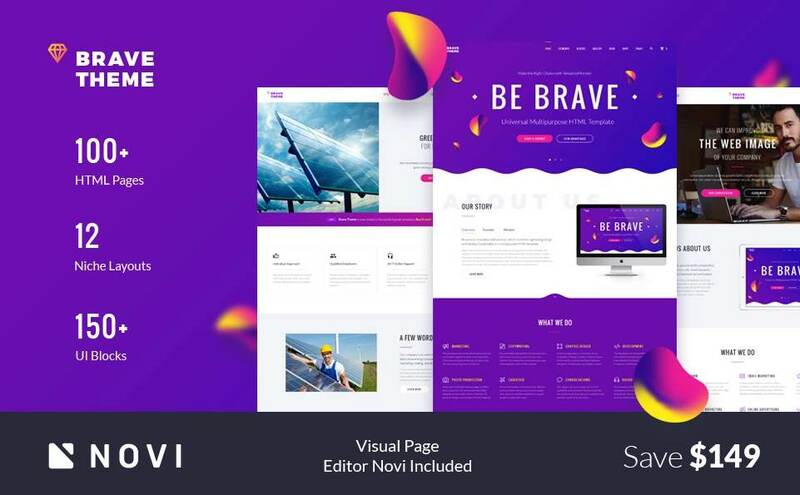 Brave is a one of the all-encompassing HTML themes that can be optionally edited within a pre-build visual Novi builder. With its 12 niche-fitted layouts and a pack of over 100 HTML pages, Brave lets you power a state-of-the-art website on the fly. Monstroid 2 is listed among the most groundbreaking templates of this year. It brings you 9 ready-made website designs for diverse industries. Moreover, this advanced theme comes with two editors and is pre-packed with more than 20 premium plugins that you get free of charge. If you search for the best theme to power your website with Joomla, you’ve hit it. 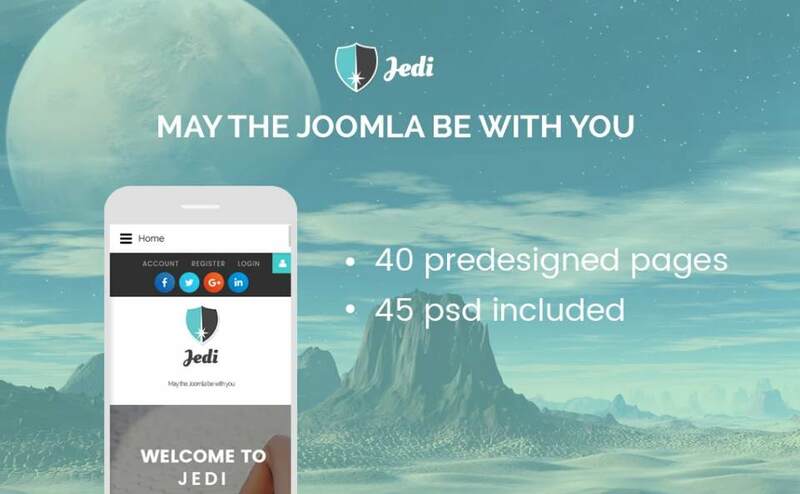 Jedi is a universal, fast and lightweight theme that lets you power a stellar website. It brings you more than 40 ready-to-use pages, social login and integration, new-gen Bootstrap 3.3.5 grid, Parallax, charts, bars and much more. Evolution is the theme that reflects all the recent web design trends and powers a stunning UX. Customizing it has no prerequisites, such as HTML and CSS command. 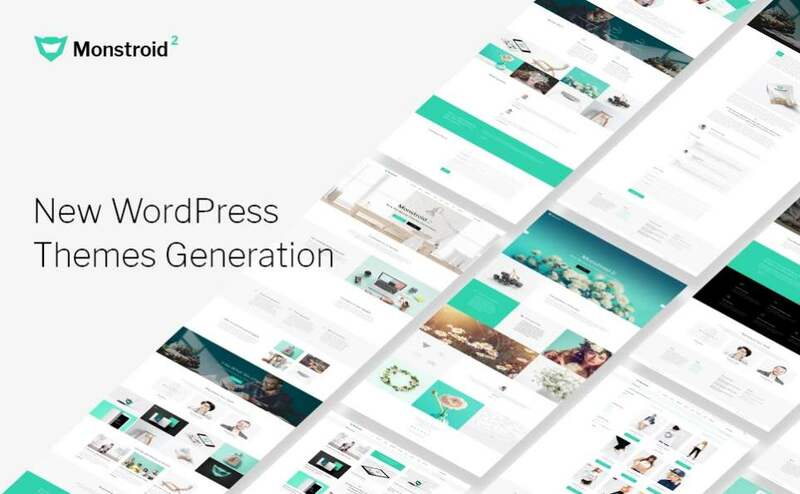 With it, you can work with 120+ pre-made blogs, widgets and styles within the intuitive visual MotoCMS builder. 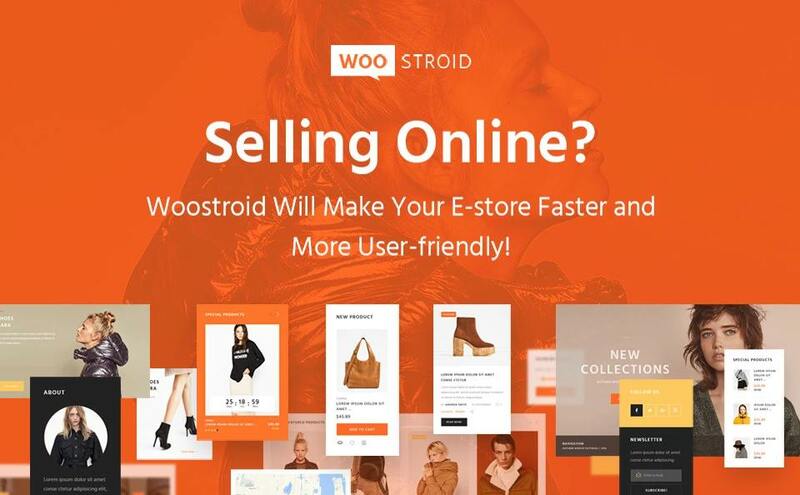 Woostroid is the number one solution of this year to power an e-store with ease. 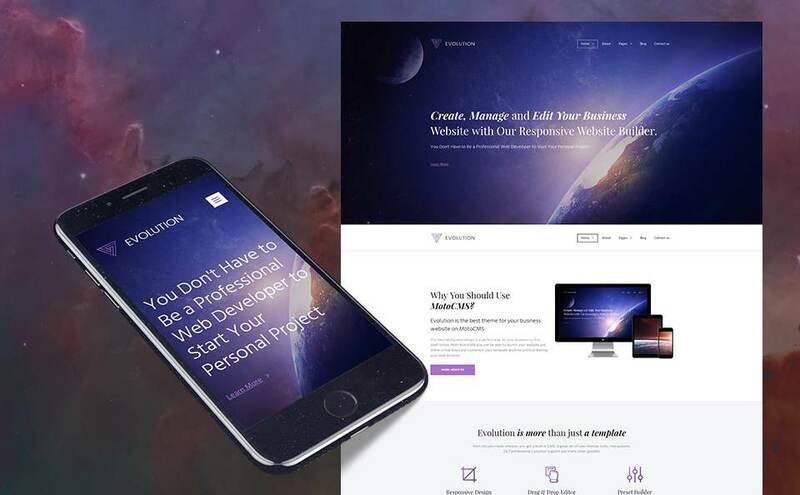 Running on WooCommerce this theme both brings your users the rich shopping experience and lets them learn more about you on the WordPress CMS pages. To launch your website even quicker, choose one of the 7 niche skins and pick your layouts from the library. Don’t miss your chance to save on the theme’s purchase. Visit TemplateMonster marketplace on December 18 – 20 and grab the theme you’ve dreamt of with a Pre-2018 Sale discount.